Try not to scream out loud, but...the day has finally come where you can purchase an H&M item online! (confession - I am screaming "yippee!" out loud, so you can too). 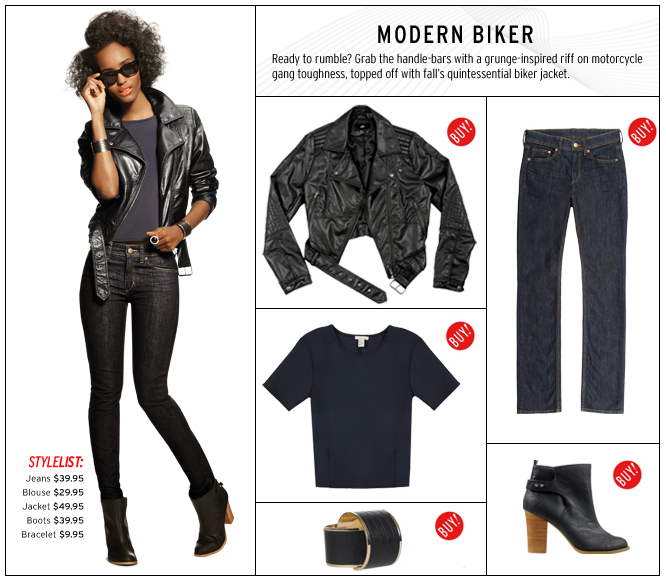 H&M and Elle have teamed up, and for the first time ever (in the US) you can purchase your favorite affordable, fashion forward and fabulous H&M items online exclusively through Elle! 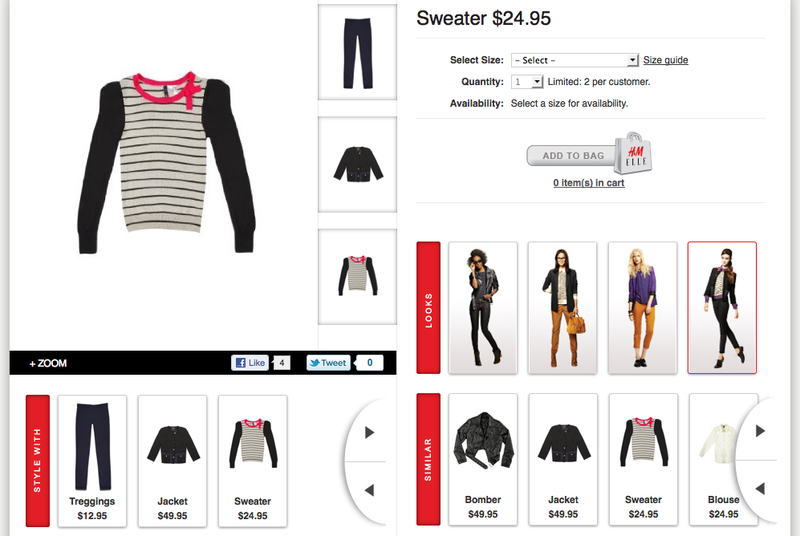 H&M will not be launching their full ecommerce site until spring 2012, so this is quite the treat! Yippee (again)! Consumers can now shop from four fall trends :: menswear inspired, '60s mod, modern biker and color blocking. 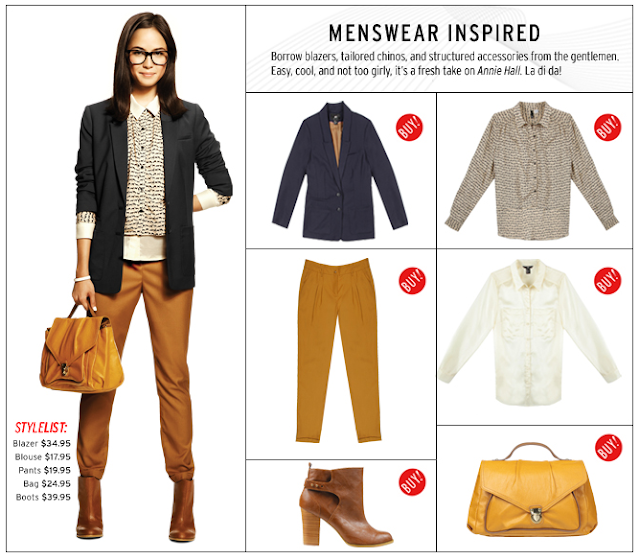 Elle stylist have hand selected items for each look and they are available online now...before they even hit stores! 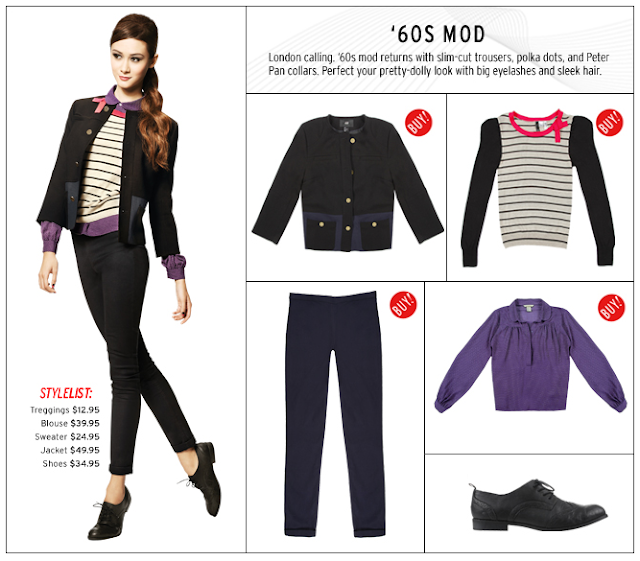 Check out the looks and start shopping here. Love the Mod looks. So cute and stylish! YAY!!! This is so exciting!!!! Thanks for sharing! I can't wait!! I hope they offer everything for sale soon! I can't handle all the cute fall commercials they've put out lately!